What is Plate Tectonics as Earthquake Terminology? What are Aseismic and Seismic Deformation? 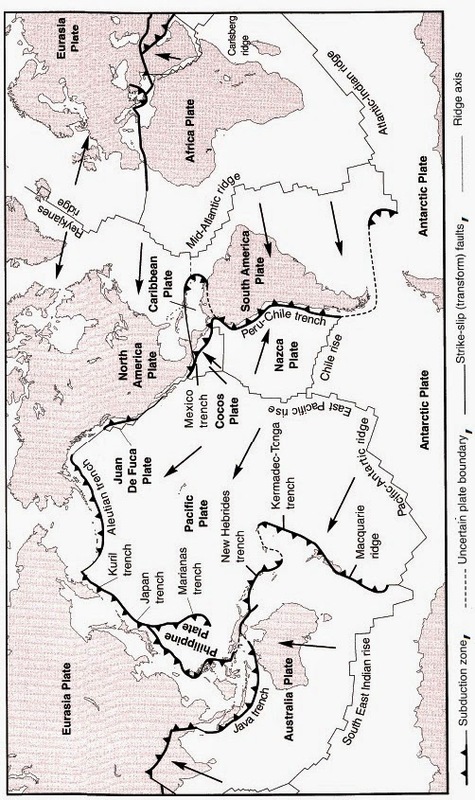 Dear reader we have discussed about continental drift in the very beginning posts of our blog. We have also learnt about formation of Mount Everest and Andes earlier. This theory shows us that the massive continents are pushing across ocean floor and through seas by some forces. These are also called microplates. Microplates were broken from large plates (major plates) near boundaries of many plates. The deformations generated between plates are found to occur near narrow zones of their boundaries, some deformations are continuous and slow and some are sudden. The slow and continuous deformation will not produce earthquake i.e. aseismic deformation and the sudden deformation produce earthquakes i.e. seismic deformation. According to this theory, as deformations mainly occur at plate boundaries, it is also expected to found epicenters of earthquake near plate boundaries. 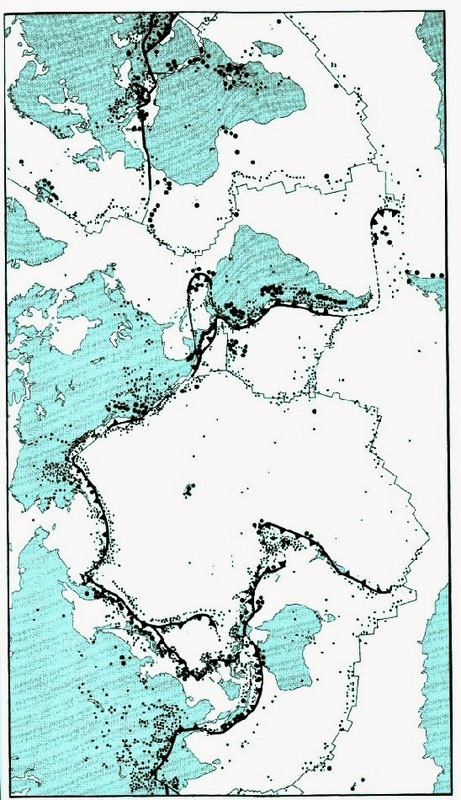 The figure provided above showing earthquake epicenters also supports this theory.